Is this Yamaha’s replacement for the Apex power cruiser? 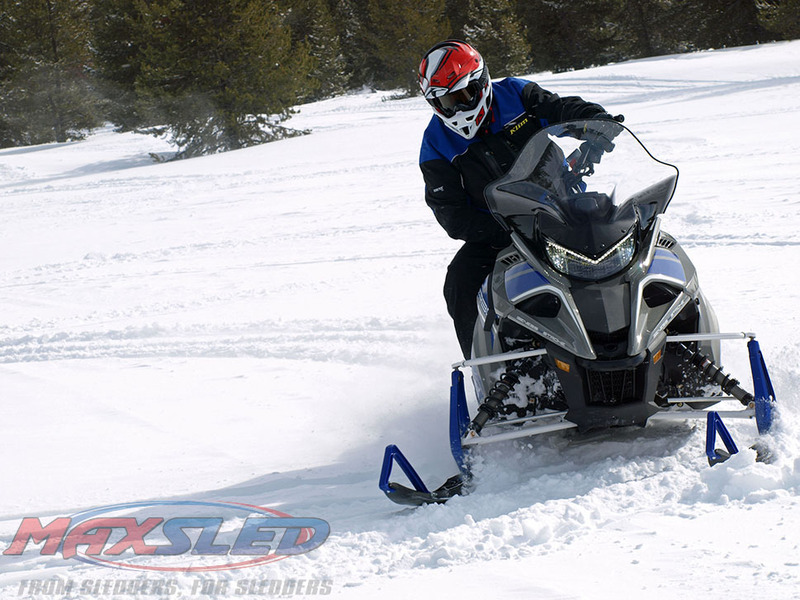 Serious snowmobilers will recognize the Sidewinder L-TX DX’s Arctic Cat sourced SRV tall spindle front suspension, which adds positive and quick-reaction steering. JBassett photo. Yamaha gets it right with the 2018 Sidewinder L-TX DX, a turbocharged cruiser for serious and stealthy riders. With a horsepower rating north of 200 and an elongated 137-inch Ripsaw track to put it to the trail, the DX can flat out motor. That makes it serious. Dressed out with drab gray and fortunate-to-have blue accenting, the DX won’t get too many second looks, except for that bold “TURBO” graphic on each side panel. That makes it stealthy. 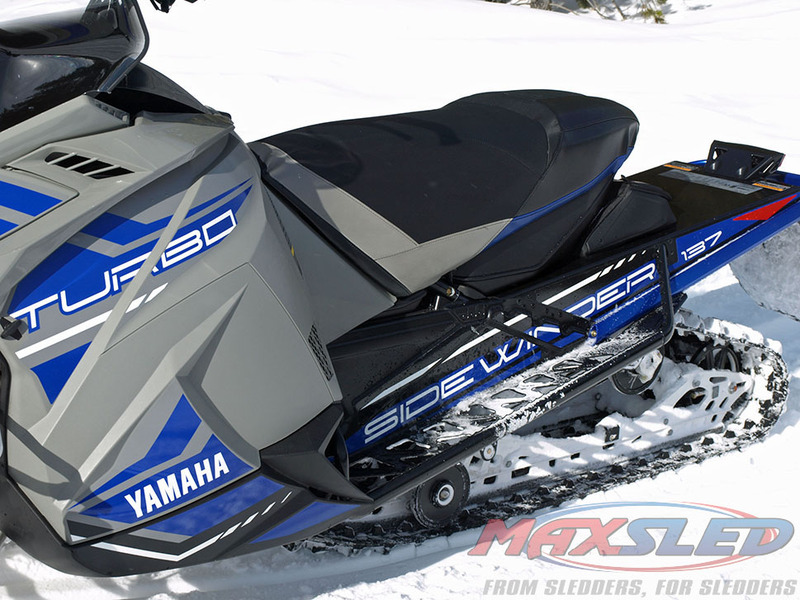 Riders of this sled will have to “man up” more than the owners of say a bright red or Yamaha blue and white Sidewinder L-TX LE or SE. The graphics on those models cry for attention. The DX is a “safe” looker belying its rather awesome performance and mile-after-mile trail persona. Don’t be fooled, the DX package may be the best all-around trail cruiser since the Apex. It has power, good handling, terrific ergonomics, the right features and uncompromised value. Cruiser-wise, the DX is rider-friendly with extremely competent handling and suspension. Its ergonomics are A-plus and the Yamaha name carries excellent dealer support and implies quality. JBassett photo. While the gray coloration left us, well, cold, there is a black version that is also stealthy and a bit more acceptable to us. Regardless of color, one punch of the throttle makes you forget everything about the graphics. That 998cc turbocharged Yamaha four-stroke triple is not simply quick and powerful, it’s uncommonly smooth transitioning from a standing start through its midrange up to whatever you’re brave enough to define as its top end. 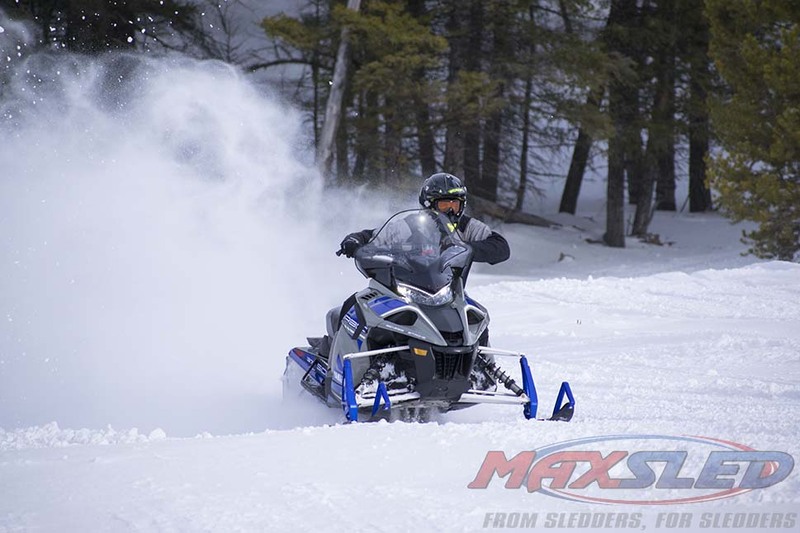 That 200-plus horsepower shifts via Yamaha’s own refined YSRC drive and driven clutch system down to a 15-inch wide by 137-inch long Ripsaw II track with 1.25-inch lug profile. The power definitely gets to the track. Hauling you back to legal trail speeds is the job of a very competent hydraulic disc brake. Add in Yamaha’s penchant for engine braking control, which we appreciate when lifting off the throttle. The DX’s 998cc turbocharged four-stroke triple is quick and powerful, uncommonly smooth transitioning from a standing start through midrange up to whatever you’re brave enough to define as its top end. JBassett photo. This is one difference between Yamaha and Arctic Cat, which prefers more of a two-stroke “free-wheeling” feel when off throttle. That’s one reason Yamaha uses its own YSRC high performance drive and driven clutch versus the Cat-TEAM system. You’ll quickly find that power is a given with a Yamaha Sidewinder, just as it is with the four-cylinder race bike inspired Apex. 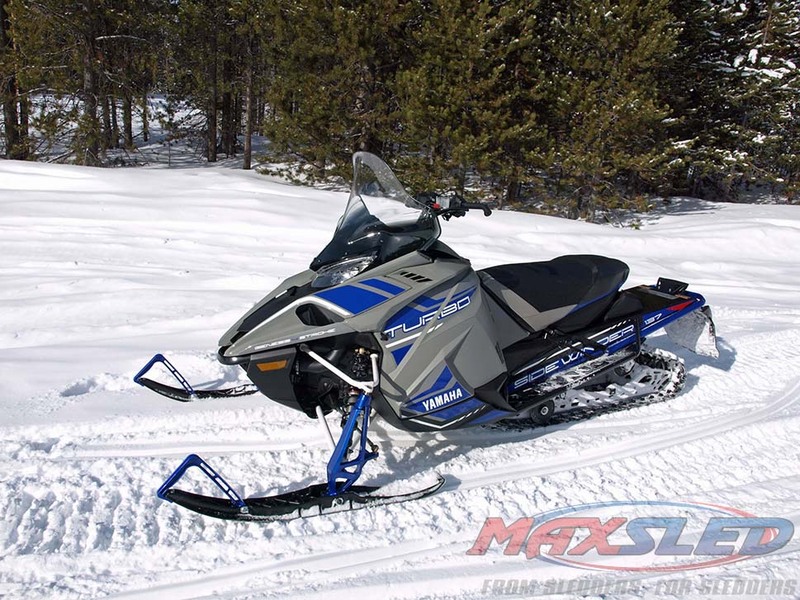 As a power cruiser, the DX supplants the Apex, now in its final season. While the DX won’t scream down a tree-lined straightaway like the rear-exiting exhaust Apex, it does enjoy a raucous cacophony of its own pulsing from its forward exhaust. The DX proves to be seriously stealthy even to its rider who will want to keep an eye on the speedometer digits speeding by under acceleration. The fact that the DX rides so well works for and against it. It’s smooth, but that quick, quiet ride aspect may have you at speeds you weren’t intending when you get to the end of a straight and head into the corners. You’ll like the standard mid-height windscreen with a wind and snow deflecting lip at the top and flared edges to divert cold from your hands. JBassett photo. The DX as a cruiser works well. The comfort-oriented heated seat features both a low and high setting. The curvature of the handlebar with easy to work controls adds to the plus side of DX ergonomics. And, of course, the fact that cold air flows around and away means you’ll be liking the standard mid-height windscreen with a wind and snow defecting lip at the top and flared edges to divert cold from your hands. Functionally the DX works for the rider concerned with miles more than short ride speed runs. The DX suspension can be tuned, but comes with monotube high pressure gas shocks that are more functional for set-it and forget-it every day cruising. They are tuned for high mileage trail riding and not for ditch banging. Everyday riders will appreciate the DX for its no-nonsense push button mechanical reverse, electric start and easy-to-read digital command center. The DX suspension comes with aluminum-bodied monotube high pressure gas shocks that are very functional for set-it and forget-it every day cruising. Add to this Yamaha’s own Gen3 Tuner lightweight performance skis. JBassett photo. Of course, serious snowmobilers will recognize the Sidewinder L-TX DX’s Arctic Cat sourced components such as the renamed SRV tall spindle front suspension, which embraces nearly 60 percent of the DX’s weight within that main triangulation. With weight centered and a low center of gravity, you can count on positive and quick-reaction steering and overall handling. Add to this Yamaha’s own Gen3 Tuner lightweight performance skis. The Sidewinder L-TX DX rear suspension may carry an SR 137 designation, but it is the Cat slide-action design with high pressure gas shocks. This Cat-based design remains extremely versatile and works well works well in this 137-inch configuration. JBassett photo. The Sidewinder L-TX DX rear suspension may carry an SR 137 designation, but it is the Cat slide-action design with aluminum body high pressure gas shocks. 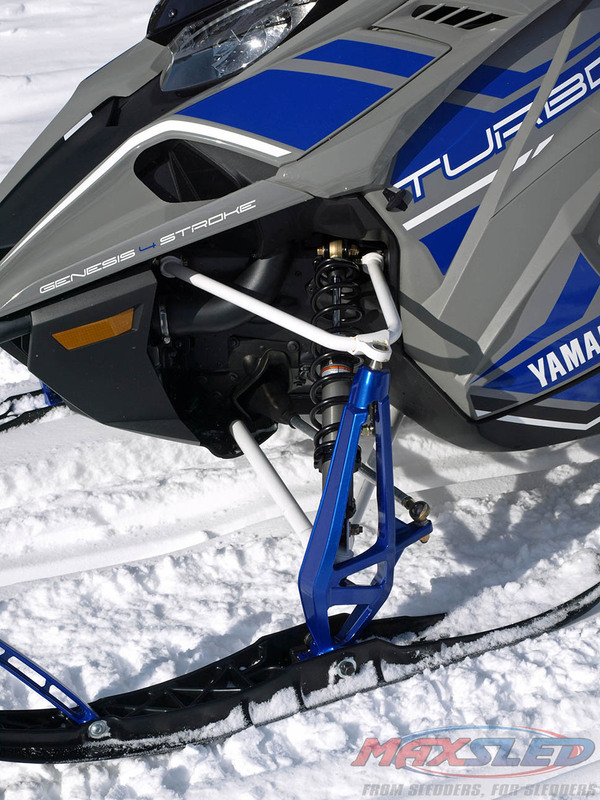 While not as touted as say the “trick” Polaris Pro-Ride or Ski-Doo rMotion, the Cat-base design remains extremely versatile and works well in all conditions. We find no complaints in its compliant nature. It works well in this SR 137-inch configuration. 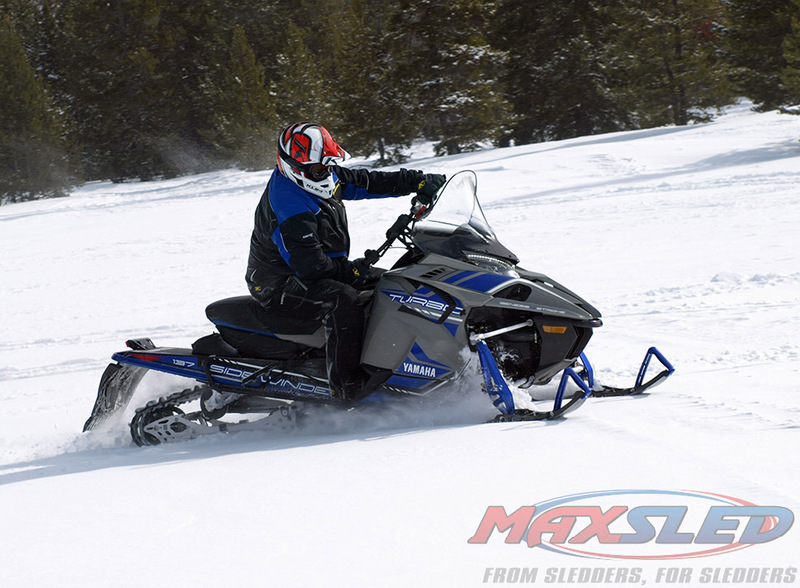 Overall, we look at this Sidewinder L-TX DX version as a proper power cruiser. You can’t debate the power issue. 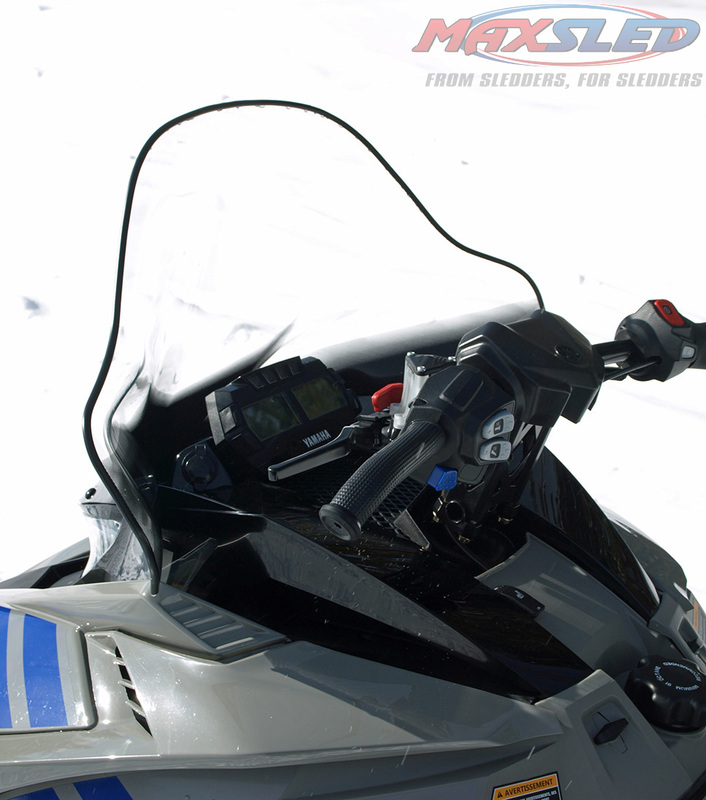 This is the most powerful drive system snowmobiling has ever seen in a mass-produced full production snowmobile. The fact that it is fast, smooth and totally trail friendly compliant makes it all a marvelous plus. Cruiser-wise, the DX is rider-friendly with competent handling and suspension ride-ability. Its ergonomics are A-plus and the Yamaha name carries excellent dealer support and implies quality. What more can you want? Well, maybe the black version and hope for a more thrilling alternative to the gray-blue packaging.